The new $6,500 move-up Homebuyer Tax Credit is apparently motivating buyers, according to a Campbell Communications survey of 1,500 real estate practitioners. Existing home owners accounted for 41 percent of home purchases in November, up from 38 percent in October, the survey found. “Current home owners jumped at the credit,” says survey research director Thomas Popik. The economy grew 2.2 percent in the third quarter. The U.S. Commerce Department had previously estimated a 2.8 percent growth rate. Officials attributed the discrepancy to consumer caution, saying that consumers simply didn’t spend as much. Many analysts still believe the economy is likely to improve in the current quarter, growing at an estimated 4 percent, or perhaps, even 5 percent. Fourth quarter results will be released Jan. 29. Companies stocking depleted inventories will drive fourth-quarter growth, but the results will continue to reflect consumer caution. "We expect a better performance in the fourth quarter, but the core problems for the economy – bust banks and a massively overleveraged consumer – have not gone away," says Ian Shepherdson, chief economist at High Frequency Economics. Moody’s Investors Service reports that commercial real estate prices continue to decline, slipping 1.5 percent in October. They were 36.4 percent lower than they were in October 2008 and down 43.7 percent from their peak in October 2007. Calculations are based on repeat sales of the same properties. Home sales in California increased 4.7 percent in November compared with the same period a year ago, while the median price of an existing home rose 5.8 percent, according to a report released yesterday by C.A.R. The median price of an existing, single-family detached home in California during November 2009 was $304,520, a 5.8 percent increase from the revised $287,880 median for November 2008, C.A.R. reported. The November 2009 median price rose 2.4 percent compared with October’s $297,500 median price. The third quarter of 2009 brought signs of relief to a U.S. economy fighting to emerge from what has been coined the Great Recession. Most measures of economic activity moved in upward trends-gross domestic product turned positive after four quarters of decline; industrial production gained; stock market indices have been surging. But while we have seen some positive developments in the residential real estate sector, commercial real estate continues to lag against a background of weak fundamentals and timid transaction activity. Demand for commercial properties remains on a downward path, adding pressure on prices and rents. Moreover, credit conditions are still tight as banks attempt to strengthen their balance sheets. As a result, vacancy rates for commercial properties have been rising and the volume of distressed properties has grown. The national economy has clearly been taking a toll on the Industrial and Office markets fundamentals. Construction levels are at a standstill. The only mitigating factor for the office marketplace is a slightly higher level of leasing activity than in the industrial market. However, the office market has more sublease space available than the industrial market and, currently, it is a strong buyer's market. Leasing activity is well below historical averages for most property types, and tenant concessions are the norm. Even the more resilient multi-family sector has experienced higher vacancies and decreases in rents. But not all is doom and gloom. While the economy is slowly coming back to life, several issues continue to cast long shadows over prospects of recovery in general and commercial real estate, in particular. While most of the components that contribute to GDP showed increases, nonresidential investment was down 4.1 percent, with investment in commercial structures declining 15.2 percent. In the third quarter of this year, vacancies in most of the markets tracked posted double-digit rates. Overall office vacancy was 16.1 percent - continuing its rise since the beginning of the year. Multifamily properties posted a lower overall vacancy rate of 7.3 percent in the third quarter, but that is still higher than in the previous two quarters. Trends in rent growth have been on an upward, although still in negative territory. Growth in rents improved steadily for industrial and retail properties through the year. Office rent growth declined 0.9 percent from the 2nd to the 3rd quarter. Only the multifamily sector showed continual negative growth in rent over the past three quarters. On the transaction side, sales activity has been positive, but slow and stuck in a vicious cycle where lack of credit reinforced a negative spiral. During the third quarter of 2009, loan balances at commercial banks declined 2.8 percent from the previous quarter, the largest percentage drop in 25 years. Lending contracted mostly sharply for construction and development loans, which were down 8.1 percent from the second quarter, to $492 billion. At a volume of $1.27 trillion, commercial and industrial loans posted the next largest decline-6.5 percent. Recoveries in global economies and rising international cash reserves are prompting investors to start looking for deals. Transaction activity during the third quarter of 2009 rose 27.4 percent, with 677 major properties exchanging hands for a total of $13.1 billion. The advance in commercial property sales was driven by an 85 percent jump in office sales. The volume of retail and hotel sales also increased noticeably, by 46 percent and 40 percent, respectively. Apartment transactions were up 12 percent, while industrial sales declined 32 percent. At the heart of these issues lies employment. Payroll employment has been on a steep decline for the past 22 months. Over that period, 7.3 million jobs have been lost. The unemployment rate jumped from 7.2 percent in December 2007 to 10.2 percent in October of this year. How are these factors impacting the outlook for commercial real estate? In brief, it will be a slow and difficult road towards stabilization over the next several quarters, although along that road will be modest signs of improvement. But the stabilization and improvements will not be spread evenly across property types or geographical markets. Whereas office properties struggle with high vacancies, declines in rents for industrial space are expected to grow. And while demand for apartments is projected to rise in 2010, challenges continue to mount for distressed hotel and retail properties. For the fourth quarter 2009, net absorption is expected to decline 18.7 million square feet for office space and 74.9 million square feet for industrial properties. Retail space is likely to post 4.4 million square feet of negative net absorption. Even apartments are expected to experience a quarterly decline of 44.7 thousand units in net absorption. In tandem with the decline in demand, available space is growing across all property types. Vacancy rates for the fourth quarter are expected to hit 17.0 percent for office properties, 14.2 percent for the industrial sector, 12.6 percent for retail and 7.8 percent for multi-family. In order to attract or retain tenants, landlords are reducing rents. By the end of 2009, rent rates are expected to be down 12.1 percent for office properties, 10.8% for industrial, 1.3 percent for retail and 4.1 percent for apartments. Commercial real estate is facing a quick-changing landscape where maturing debt, loan modifications, lower prices and private investment currently vie for a foothold. Central to any market stabilization and sustained recovery is the issue of employment and credit availability. More to the point, a positive shift in employment and financing activity are both needed to place commercial real estate on solid ground. Cities that experienced housing recessions were affected as much by local economic factors as they were by national ones, according to a study by Local Market Monitor for Forbesmagazine. Cities that have lost the most value are concentrated in the Midwest where unemployment has taken its toll, and in parts of California, Florida, and Nevada where the rising cost of housing encouraged home buyers to gamble on their ability to afford housing long term. On average, housing markets on the West Coast lost the most value – 21.6 percent since their peak. Florida lost 31 percent. The Northeast lost an average of 8.6 percent, and the Midwest on average lost only 5.6 percent. Homeowners with mortgages of more than $1 million are defaulting at almost twice the U.S. rate and some are turning to so-called short sales to unload properties as stock-market losses and pay cuts squeeze wealthy borrowers. Payments on about 12 percent of mortgages exceeding $1 million were 90 days or more overdue in September, compared with 6.3 percent on loans less than $250,000 and 7.4 percent on all U.S. mortgages, according to data from First American CoreLogic Inc., a Santa Ana, California-based research firm. The rate for mortgages above $1 million was 4.7 percent a year earlier. As defaults on the biggest mortgages rise, borrowers are turning to short sales to exit loans that now are larger than the market value of the house. In such a transaction, the lender agrees to accept less than a 100 percent payoff on a mortgage to expedite the property’s sale. Short sales almost tripled to 40,000 in the first six months of 2009 from the same period a year earlier, according to data from the Office of Thrift Supervision. The bank regulator doesn’t break out short sales by size of mortgage. There are 114,000 home loans of more than $1 million, according to First American. About a quarter of all mortgaged homes in the U.S. have loan balances bigger than their current value, known as being upside down or underwater, the data company said. The Dow Jones Industrial Average lost more than half its value as it tumbled to a 12-year low in March. The number of U.S. households with a net worth of more than $1 million, not counting primary residences, fell to a five-year low of 6.7 million last year from a record 9.2 million in 2007, according to Spectrem Group, a Chicago-based consulting firm. The financial-services industry was among the hardest hit by the recession. While Goldman Sachs Group Inc. set aside a record $16.7 billion in the first nine months of the year for employee bonuses, some Wall Street executives will see pay cuts, according to Johnson Associates Inc., a New York-based compensation-consulting firm. Year-end bonuses for people at hedge funds, asset- management firms and insurance companies probably will drop an average 20 percent, the firm said. The entry-level segment of the housing market was aided this year by an $8,000 first-time buyers tax credit that pushed resales to a 6.1 million annual pace in October, the highest since February 2007, the National Association of Realtors said in a Nov. 23 report. With 30 year interest rates below 4.875 for December, the Fed purchases haven’t affected the high end of the market because they exclude so-called jumbo loans. Luxury home prices probably will drop another 5 percent before reaching a bottom in September 2010, according to Sam Khater, senior economist at First American. A supply of 1.7 million homes headed for sale because of foreclosure or delinquency looms over the nation's housing market, which could dampen progress toward recovery and Obhama Administration efforts. According to a report released this month by research firm First American CoreLogic, a variety of measures to keep discounted bank-owned properties off the market -- including moratoriums on foreclosures by major lenders and federal initiatives aimed at keeping people in their homes with mortgage payments they can afford -- has helped increase a backlog of so-called shadow inventory 55% in the year ended Sept. 30. Shadow inventory properties are homes that have not been tallied into official inventory numbers tracked by Realtors and other real estate professionals. They include homes taken back by lenders through foreclosures and similar actions, as well as homes whose owners are at least 90 days delinquent on their mortgage payments. A debate has emerged among real estate professionals and economists over how big an effect shadow properties will have on housing prices and sales if lenders unload them onto the market next year. Some argue that lenders, concerned about potential losses, will moderate the pace of repossessions to avoid depressing the market. Others say efforts by the government won't be able to keep up with the sheer number of defaults brought on by unemployment and depressed home values, as well as weak results in banks offering Loan Modification programs. However, if many of the loans that are delinquent are able to be successfully modified, and those loans perform, then that should alleviate this issue of the pending supply and shadow inventory." Data released last week by the federal government showed that though the number of temporary mortgage modifications grew, very few had turned into permanent ones. Only 31,382 of the more than 700,000 mortgage modifications under the federal program -- less than 5% -- had been made permanent by the end of November. Late last month the Obama administration unveiled new measures, including the threat of fines, to push mortgage servicers to improve. In California, with very little supply these days, home prices and sales have shown steady improvement in part because foreclosure properties have made up a smaller fraction of the housing for sale in recent months. A report released Thursday by research firm MDA DataQuick showed that the state's median home price in November was up 1.6% over the prior month, at $261,000. Of the previously owned homes sold statewide last month, 40.6% had been foreclosed on during the last year -- the lowest proportion since May 2008, when it was 39.8%, and considerably down from its February peak of 58.8%, DataQuick said. Fewer than 5% of borrowers participating in the Obama administration's foreclosure-prevention program, about 31,000 in all, have received permanent loan modifications, the Treasury Department said Thursday. The new numbers were the latest sign of trouble in the $75 billion foreclosure-rescue plan launched in February. The program provides financial incentives for mortgage companies and investors to reduce loan payments to affordable levels for struggling borrowers. But it has proved difficult to move borrowers from a trial phase to permanent mortgage fixes. "We agree that servicer performance in converting trial modifications to permanent ones has been unsatisfactory," a Treasury Department spokeswoman said. The department last week said it was stepping up pressure on mortgage companies to complete more loan modifications. Through November, more than 728,000 borrowers had begun making trial payments under the plan, up from 651,000 in October, with modifications saving borrowers an average of more than $550 a month, the Treasury Department said. Bank of America Corp. had 156,864 borrowers in the trial program and 98 other borrowers had received permanent fixes. Citigroup Inc. had completed 271 permanent modifications and had 100,124 active trial modifications. A Bank of America spokesman said the company had "the highest number of...active trial modifications" and expected to gain momentum in converting borrowers to permanent fixes in December. A spokesman for Citigroup's mortgage unit said the bank was beginning to see "greater success" thanks to "recent improvements in documentation requirements and increased borrower awareness." The program calls for borrowers to make three trial payments to qualify for a permanent modification. They must also provide a hardship affidavit and other documents. The administration has been successful in getting borrowers into trial modifications, said Thomas Lawler, an independent housing economist. But its results on permanent modifications has been "discouraging," he said. Officials "clearly didn't think enough about what would happen on the back end," he said. The administration had set a goal of 500,000 trial modifications by November 1. Many mortgage-servicing companies began the trial process based on verbal information provided by borrowers. But getting borrowers to turn in required documents has been challenging. Many borrowers, meanwhile, complain they are asked repeatedly for forms they have already filed. Some companies have required borrowers to provide most or all of the needed paperwork before they begin the trial process. Two such firms, Ocwen Financial Corp. and GMAC Mortgage Inc., account for more than 11,000 permanent modifications -- more than 36% of the total. "Deciding to get the documentation up front has been key," a GMAC spokeswoman said. Despite financial pressures, GMAC has boosted staffing in loss mitigation by 35%, she said. J.P. Morgan Chase & Co. has 136,686 active trial modifications and 4,302 permanent modifications. In testimony before Congress this week, Chase said that 29% of borrowers who entered the program between April and September didn't make the required payments; 20% hadn't provided all of the required documents. "Our focus has been on getting the documents we need from customers," a Chase spokesman said. At Wells Fargo & Co., 96,137 borrowers were in the trial plan and 3,537 had received permanent fixes. About 14,000 additional borrowers had provided all required documents and most should receive permanent modifications in the next month or so, said Cara Heiden, co-president of Wells Fargo Home Mortgage. More than half of Wells Fargo customers in the program hadn't yet made all their trial payments because they hadn't been participating long enough, she said. On December 14, Reps. Abercrombie (D-HI) and Lowey (D-NY) introduced HR 4302, the "Small Business Job Creation and Access to Capital Act of 2009." The bill contains increases on loan limits for loans backed by the Small Business Administration (SBA) and provides for low interest refinancing for small businesses. The bill is identical to its Senate partner, S. 2869, sponsored by Sens. Landrieu (D-LA) and Snowe (R-ME). The limits on SBA-backed loans from SBA-approved lenders would be pushed from as low as $1.5 million to $5 million, depending on the purpose of the loan. The bill would also allow a business, current on its past year's debts, to obtain low-interest SBA refinancing for reasons beyond expansion of the business, e.g. paying business expenses or creating/retaining jobs. The introduction of this bill in both the House and the Senate is evidence that the issue is moving forward. The bills are still in the nascent stages, however, and a path to passage of the bill still remains unclear at this point. NAR has been working with the SBA on related matters: in particular ensuring that REALTORS® are eligible for SBA loans. While brokers have traditionally been considered eligible, the SBA has clarified in writing that sales agents are also eligible for SBA loans. Following this success, NAR has been working to streamline the onerous SBA loan process. Higher guarantee limits for SBA loans would be a boon to REALTORS®, especially if NAR succeeds in efforts to help members more quickly and easily gain access to SBA financing channels. Existing Home Sales rose again for November at 6.54M units, a bit higher than estimates of 6.25M., as first-time buyers rushed to close before the original Nov. 30th deadline of the Home Buyer Tax Credit. Since then, the Home Buyer Tax Credit has been extended as well as expanded to include “move-up” buyers. The inventory of unsold homes fell to a 6.5 month supply, down sharply from last month's 7 month level, and quite a bit lower than June's 9.4 month reading. Current sales remain at the highest level since February 2007 when they hit 6.55 million. Overall, this is a good report, but it is being somewhat fueled by the Homebuyer Tax Credit, as 51% of sales were from First Time Home Buyers. Lawrence Yun, NAR chief economist, said the rise was expected. “This clearly is a rush of first-time buyers not wanting to miss out on the tax credit, but there are many more potential buyers who can enter the market in the months ahead,” he said. . “We expect a temporary sales drop while buying activity ramps up for another surge in the spring when buyers take advantage of the expanded tax credit, which hopefully will take us into a self-sustaining market in the second half of 2010. While this is a nice improvement and the 2nd consecutive month of gains in all categories of sales, keep in mind once the temporary Home Buyer Tax Credit goes away, we could see inventories start to creep higher again. Additionally about 1/3 of the homes that were sold were "distressed" or Bank Owned Homes, and majority of these purchases were from speculators buying homes and then quickly flipping them, which overstates the number of transactions. As the temporary stimulus program unwinds, it will be interesting to see if the housing momentum will be able sustain and grow. Current sales rates, actual totals and median prices by month going back 12 months. Annual totals for three years. Includes all existing-home sales — single-family, condos and co-ops — rolled into monthly and annual totals. Figures for the nation and four regions. No breakouts. Figures for the nation only — includes total existing-home sales, single-family sales and condo/co-op sales — seasonally adjusted and actual. Months supply by category also included. Median and average sales prices for all existing-home sales, for single-family sales and for condo-co-op sales. A probate sale is defined as the sale of a property where the owner is deceased and the sale is being conducted by the deceased estate. An Administrator or Executor signs on behalf of the deceased person with either full or limited authority. Sometimes the deceased has a will. Sometimes they don’t. Although the escrow process is fairly similar for both scenarios, the time frames associated with the two situations can vary dramatically. Understanding the core differences between the two can assist agents and clients in successfully closing a transaction. From the standpoint of escrow and most buyers, this situation is a far preferable probate sale due to the predictable time frames this situation provides. 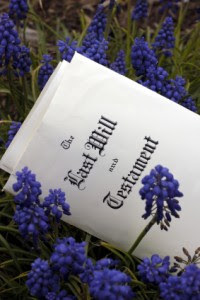 When the deceased leaves a will, the property falls under the Independent Testamentary Act and the court designates an Administrator or Executor of with full authority over the estate. Typically this person will be a close remaining relative. It then becomes the responsibility of this person to decide the future of the property. Because this person has full authority, the process from an escrow perspective is very similar to that of a standard sale. However, there is one additional document that will be required by title in order to close the transaction. They will need certified copy of the “Decree of Distribution of Letters of Testamentary”. This is official paperwork issued by the court that designates the Administrator of Executor and is required by title in order to insure the transfer of the property. Glen Oaks Escrow also will want to receive a copy of this document in order to proactively review it for potential hiccups in the transaction. In the event that the deceased did not leave a will, the property sale will have to go through the court probate process. The court will approve and assign an Executor or Administrator for the Estate of the Deceased. This Executor will be an independent court representative. The court will also issue an Order Confirming Sale which basically stating that the listing price is at fair market value and it authorizes the sale of the property. A certified copy of this document will be required by title in order to close the transaction. The challenge for escrows on Probate Sale listings in this situation where the deceased did not leave a will is that the time frame for the court probate process can vary from 60 days to 6 months or beyond. This creates a challenge in negotiating escrow times. Agents should be prepared to properly set buyer expectations about the time it can take to close a court appointed probate sale. It is not uncommon to require an extension of escrow. And, unfortunately, sometimes the extended escrow duration can become a deal breaker. If you’re ever in a probate property sale transaction, understanding the process and what you must do to transfer the property can affect the success you have in closing the deal. Your escrow officer can be an excellent resource to inform you of the paperwork and time frames that will be required to complete the transaction. In addition, consulting your family attorney or estate planner is your best course for answering specific and legal questions in these types of transactions. Interested in what you are reading? To automatically receive these Escrow Tips in your email box, subscribe to these articles at the top right corner of this site (www.goeblog.com) in the box titled “Subscribe via Email”. A Deed of Trust is the security for your loan. It is the document that is recorded in the public records. Lenders file in the public records where the property is located a public notice called the Notice of Default. It states that the borrower is in default, behind in the mortgage payments, and if the payments are not paid up, the lender will seize the home. In California, lenders typically do not file a Notice of Default until the borrower is at least 60 days behind in making payments. Lenders must then wait 90 days. During that 90-day period, the borrower has the right to make up the back payments and reinstate the loan. After 90 days, the lender is required to publish a notice in the newspaper for 20 days and then may sell the property to the highest acceptable bidder on the courthouse steps. If no acceptable bid is received, the trustee then conveys the property to the lender. A potential option taken by a mortgagor (a borrower) to avoid foreclosure under which the mortgagor deeds the collateral property (the home) back to the mortgagee (the lender) in exchange for the release of all obligations under the mortgage. Legal proceeding by which a borrower’s rights to a mortgaged property may be extinguished if the borrower fails to live up to the obligations agreed to in the loan contract. The lender may then declare the entire debt due and owing and may seek to satisfy it by foreclosing. Foreclosure is commonly by a court-decreed sale of the property to the highest bidder, who is often the lender. As we all know, foreclosures continue to be in the news and continue to dominate the market. This means that REALTORS, struggling homeowners, and potential buyers need to have information about the process and terms of foreclosure in order to make important decisions about the sale or purchase of a property. Knowing the terminology is an important step in that process. Closing fees are a prickly part of any real estate deal. This is where everybody involved in the sale and transfer – lenders, lawyers, government agencies, and the escrow company – add their numbers to the bottom line. Perhaps the worst thing about closing fees is that they often seem to come as a surprise. This can lead to anger and frustration for the buyer and seller, and inconvenience and headache for agents. Escrow fees are part of a deal’s closing costs. Let’s explore the typical fees that can show up on a buyer’s closing statement, and help to avoid future cases of sticker shock. The escrow agent is an independent third party, competent and trustworthy to caretake and disburse your money. This fee provides for the escrow company’s time and supplies to print out lender documentation, comply with various lender requirements, and fill out and submit the forms and applications requested by lenders to facilitate the transaction. More and more documents are being sent to escrow companies over the Internet, however they still need to be printed out in order to be archiveable and useful. This fee helps to defray document printing costs. Very few escrow situations come without any supplemental or unusual needs. Spouses, ex-spouses, grantees, trustees, business partners, extra government agencies or authorities, all may need to be dealt with in order to facilitate the escrow. All of these contacts take time and documentation. Most escrow companies include one or two added contacts in their escrow fee; a significant number of added contacts will result in a processing fee. Legal escrow documents need to be stored by the escrow company for a minimum of five years. This fee helps with the storage and retrieval of the large volume of paperwork involved. The seller’s closing statement contains escrow costs as well. The seller will have the same Escrow fee as the buyer, the same Processing and E-Document fees, and an Archive fee. Closing costs from the escrow company are not a mystery, and don’t need to be a surprise, either. With a little bit of preparation and a phone call or two, both buyers and sellers can know in advance what their closing costs will be, and clear a potential obstruction on the way to a completed sale. For the second time the mortgage industry as succeeded killing the proposed bill as the U.S. Senate rejected a measure that would let bankruptcy judges cut mortgage terms to help borrowers avoid foreclosure; A big defeat for struggling homeowners, but a big victory for banks and credit unions that said the legislation would increase loan costs. The proposed “cram-down” amendment to a housing bill was defeated today in a 51-45 vote, with 12 Democrats among the 51 opponents. The measure needed 60 votes to pass over Republican objections. The House passed its version 234-191 on March 5. “These bankers who brought us into this crisis are literally shunning and stiff-arming the people who are facing foreclosure,” said Senator Richard Durbin of Illinois, sponsor of the legislation and the chamber’s second-ranking Democrat who introduced the bill back in 2007. The defeat is also a setback for President Barack Obama’s administration, which included cram-down in the anti-foreclosure plan aiming to help 9 million homeowners. Democrats led by Durbin had sought a compromise on the measure with JPMorgan Chase & Co., Wells Fargo & Co., Bank of America Corp., the American Bankers Association and Financial Services Roundtable. The lenders that scuttled the negotiations are “surviving today because of taxpayers’ dollars,” Durbin said. The three banks he named received $95 billion in U.S. aid. Durbin had proposed limiting the size of mortgages eligible for modification by judges, and his proposal would have covered loans issued through Jan. 1 or delinquent for 60 days. A provision in the legislation also would have required borrowers to contact loan servicers 45 days before filing for bankruptcy. A coalition of 12 financial industry groups, in a letter to senators yesterday, said the cram-down bill would destabilize the housing market. The Democratic effort lost support last week after federal credit unions refused to endorse the legislation. The U.S. economy has lost 5.1 million jobs since December 2007, and unemployment rose to 8.5 percent in March, the highest since 1983. Consumers remain burdened by debt, as foreclosure filings for March totaled 341,180, a record high, according to RealtyTrac. To contact the reporter on this story: Margaret Chadbourn in Washington at mchadbourn@bloomberg.net. Gov. Schwarzenegger signed Senate Bill 94 Oct. 11, which immediately prohibits any person, including attorneys and real estate licensees, from collecting an advance fee to perform professional services relating to foreclosure relief for homeowners. This new law was adopted as an emergency measure to close a loophole that permitted companies and scam artists exploiting the foreclosure dilemma, promising false hope to stop foreclosure and the ability to charge advance fees. The advance fee prohibition for loan modification and forbearance services applies to residential property containing four or fewer dwelling units. If loan modification or other loan forbearance services are offered in Spanish, Chinese, Tagalog, Vietnamese or Korean, a translated copy of the disclosure above must be given to the borrower in that language. A violation of the law can result in fines and up to a year in jail. You can check out the complete Department of Real Estate News Release by clicking on the link below. The Obama administration and The U.S. Treasury Department laid out final guidelines on Nov 30th, that will hopefully make it easier for some financially troubled borrowers to sell their homes, and avoid foreclosure. The guidelines are designed to encourage the use of short sales, transactions in which the borrower with lender approval sells the home for less than what is owed on the loan. The program also makes it easier for borrowers to voluntarily transfer ownership of properties through a "deed in lieu of foreclosure." Under the plan, borrowers will receive $1,500 from the government for selling homes for less than the amount of their mortgages. Mortgage-servicing companies will get $1,000 for each completed short sale. Second-mortgage holders can receive up to $3,000 of the sales proceeds in exchange for releasing their liens. Investors who hold the first mortgage can collect up to $1,000 from the government for allowing the payments.Borrowers who complete a short sale under the program must be "fully released" from future liability for the debt, according to the guidelines. Personally, I feel the trouble with short-sales is not on the Homeowner's end, but rather the Banks executing the wave of short-sale files that get submitted on a daily basis. Offering a credit incentive to Short-Sale, although will be beneficial for struggling homeowners to aide in making a "fresh-start", will only inundate mortgage banks and loan servicing companies, if there isn't a process quickly implemented to handle the flood of applications coming in. The short-sale system in many institutions, such as Bank Of America is “broken”. It doesn’t work! Talk to any Realtor, and they will go over a list of the problematic structure some banks have when trying to execute a Short-Sale transaction! House hunting usually slows down this time of year, as people put their searches on hold during the holidays. This winter could be different, however, thanks to the extension -- and expansion -- of the first-time home-buyer tax credit. "We're going to see far more interest in the fourth quarter than we generally do because of the tax credit," says Heather Fernandez, vice president of Trulia.com, a real-estate search engine. Traffic surged on the site on Nov. 5, the day Congress approved the credit extension, she says. The new law extends the tax credit for first-time home buyers and opens it up to some existing homeowners as well: The credit is now up to $8,000 for first-time buyers and up to $6,500 for repeat buyers. All buyers must have a binding contract on a house in place on or before April 30. The purchase must be for a principal residence and must close on or before June 30. To be considered a first-time home buyer, an individual must not have owned a home in the past three years. And to be eligible, existing homeowners need to have lived in the same principal residence for five consecutive years during the eight-year period that ends when the new home is purchased. Additionally, income limits have risen as well. According to the Internal Revenue Service's Web site, www.irs.gov, the home-buyer tax credit phases out for individuals with modified adjusted gross incomes between $125,000 and $145,000, and between $225,000 and $245,000 for people filing joint returns. Housing finance giants Fannie Mae and Freddie Mac, announced a rental program for current struggling homeowners. With foreclosures continuing to mount to nearly $5.5 trillion in defaulted mortgages, the Government finance giants discussed a Deed for Lease initiative program,in which property owners facing foreclosure can remain in their homes as renters. Under the program, a borrower who qualifies can transfer the deed for a home over to the lender and lease the home back for up to 12 months. 1. Soften the blow: The program is designed to soften the blow that foreclosures can have on families and neighborhoods by giving borrowers time to plot their next step, says Keith Gumbinger of HSH.com. Only borrowers with loans owned or guaranteed by Fannie Mae can participate. 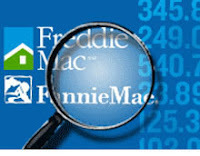 (Borrowers can use this tool to find out if Fannie Mae owns their loan.) Interested borrowers with loans owned by Fannie Mae should call their loan servicer, who will contact a property manager to determine eligibility. 2. Property eligibility: In order to qualify for the program, the property must not be subject to zoning or other regulations that would prevent a deed-for-lease swap. In addition, the property can't be in violation of local laws or rules, and the costs for any needed repairs must not be too high. Only homes used as primary residences are eligible. Finally, the rental income must be enough to pay for management and maintenance costs. 3. Borrower eligibility: Borrowers-turned-renters must have a verifiable income to qualify for the program. In addition, the market rent can't exceed 31 percent of their gross monthly income. The borrower has to agree to keep the property in good shape, and there can't be any evidence that illegal activities are taking place there. And in some instances, borrowers who have pets may be required to obtain renter's insurance. 4. Extraordinary times: Gumbinger says the program reflects the extreme nature of the housing crisis. "Extraordinary times call for extraordinary measures," he says. "I can't imagine in their wildest dreams that Fannie and Freddie wanted to be landlords." The Deed for Lease initiative, however, may allow Fannie to limit its losses by generating some rental income and enabling the company to postpone the sale of foreclosed properties for up to 12 months. And it's possible—although certainly not guaranteed—that the real estate market will be stronger by then. 5. Private sector to follow? Gumbinger says that by launching this initiative, Fannie—which is now under government control—may be hoping that similar deed-for-lease programs will be established by private firms. "The hope is that private entities are going to look at this and say, 'Here is a model that Fannie is employing, we may be able to employ it as well,' " he says. Of those interested in buying a home as an investment, 15.8 percent were men and 8.1 percent were women. There are 48 million Baby Busters, or Generation Xers, and 80 million Echo Boomers, also known as Generation Y. These individuals accounted for 78 percent of first-time buyers in 2008, according to the National Association of REALTORS®, and will be making second and third home purchases in the coming years. The survey also found that buyers who plan to purchase foreclosures expect to profit both from deeply discounted purchase prices, as well as healthy appreciation rates over the next five years. Most foreclosure buyers (58.2 percent) expect to pay 20 percent or less than market price for a foreclosure, while 38.5 percent expect a discount of 25 percent or greater. The Pending Home Sales Index, a forward-looking indicator based on contracts signed in October, increased 3.7 percent to 114.1 from 110.0 in September, and is 31.8 percent above October 2008 when it was 86.6. The rise from a year ago is the biggest annual increase ever recorded for the index, which is at the highest level since March 2006 when it was 115.2. Pending sales in the Northeast surged 19.9 percent to 100.2 in October and is 44.2 percent above a year ago. In the Midwest, the index rose 11.6 percent to 109.6 and is 36.6 percent higher than October 2008. Sales in the South increased 5.4 percent to an index of 115.4, which is 31.6 percent above a year ago. In the West, the index fell 11.2 percent to 127.7 but is 21.9 percent above October 2008. Yun cautioned that home sales could dip in the months ahead. “The expanded tax credit has only been available for the past three weeks, but the time between when buyers start looking at homes until they close on a sale can take anywhere from three to five months. Given the lag time, we could see a temporary decline in closed existing-home sales from December until early spring when we get another surge, but the weak job market remains a major concern and could slow the recovery process. “Still, as inventories continue to decline and balance is gradually restored between buyers and sellers, we should reach self-sustaining housing conditions and firming home prices in most areas around the middle of 2010. That would mean broad wealth stabilization for the vast number of middle-class families,” Yun said. The Treasury Department announced Monday steps it is taking to encourage lenders to complete more loan modifications, but critics say the new initiative doesn’t address the problems of jobless borrowers or those who are significantly underwater. The government blames banks and mortgage companies for dragging their feet and, under the new guidelines, will fine them if they fail to increase the number of home owners given relief. It also announced plans to publish a list of the worst banking offenders and to withhold cash incentives until loan modifications are made permanent. The Treasury Department also promises to assign more staff to monitor the process.The government said it expects 375,000 home owners to be eligible for permanent mortgage reductions by the end of 2009. Economist Edward Glaeser discusses with Money Magazine where home prices will move next. He argues that older, colder cities are unlikely to come back because their initial growth was tied to transportation costs. Now that few goods are moved by water, their productivity – and number of residents – has declined. Today, cities are likely to grow because they are located in warm areas where people want to live, Glaeser says. Cities like Atlanta, Dallas, and Houston that have a vibrant economy and a lenient building environment have gone through the housing meltdown with less of a decline in prices. These cities, he says, are likely to continue to attract residents, while their flexible approach to building regulation will keep home prices moderate. But Glaeser doesn’t foresee property values rising to previous levels even in attractive locales. “The harsh reality is that real estate prices that go up come down. I've found that for every real $1 increase in local market prices over a five-year period, prices go down 32¢ over the following five years,” Glaeser says. The best short-sale deals are those where the bank has pre-approved the sale price. The property may still take a long time to close, but not as long as it would otherwise. Buyers of a short-sale should be prepared for multiple offers. If the short-sale property is an attractive one, the lender will continue to market the property even after signing a sales contract. And if it gets a better offer, it may sell the property without giving the original buyers a chance to negotiate. Seek out houses protected by the Cash for Keys program, which gives short-sale and foreclosed owners money to prevent them from trashing the place on the way out. Inspections are important. If a home has been vacant, get the property re-inspected prior to closing. Buyers shouldn't focus on price alone. Homes that are in poor neighborhoods, have serious maintenance issues, or have terrible floor plans aren’t bargains despite the price. The default rate on commercial real estate loans held by banks hit 3.4 percent in the third quarter, up 0.52 percentage points from the second quarter, according to research firm Real Estate Econometrics. At 3.4 percent, the default rate is the highest it has been since 1993 when it hit 4.1 percent. The default rate on apartment buildings is even higher, reaching 3.58 percent, up from 3.14 in the second quarter. Real Point Chief Economist Sam Chandan says not all banks’ books of commercial business are in trouble because some with large exposure to commercial real estate managed their investments well, including conservatively analyzing loans and holding the borrower accountable for payment. Parents Should Consider Homes as Gifts Parents who are looking for a gift to give their kids this holiday season should consider a house. With prices in the cellar, this could be a terrific year to give a down payment or even the whole home. The Internal Revenue Service says a married couple can each give gifts of $13,000 of money or property without triggering taxes for the gift givers or the recipients. That means a married couple can give another married couple a total of $52,000 a year. To maximize that they can give $52,000 in December and another $52,000 in January for a total of $104,000 to be used on a property before the federal tax credit expires. This would buy a house in some parts of the country and be sufficient for a down payment in most others.